You are currently browsing the Gluten Free For Good blog archives for May, 2008. No, I haven’t dropped off the planet or disappeared into the wilderness (although a wilderness trek may be on the horizon – more about that later). Life has just taken priority over blogging lately. Funny how that happens. I’ll spare you the details, but suffice to say that I’ve been on the fast track recently with little time for much of anything other than work and family. I’m also in the process of having my blog refashioned and updated, so I’ve been busy working on that in my spare time. Not that I’m doing anything techy or design-wise with it, I’m leaving that to Mike and Adam, but I do have to make some choices and do some organizational work. Check back in a couple of weeks for the final version, complete with new categories and much easier access to prior posts and recipes. I’m also adding “artful aging” and “adventure” categories for those of us who are adventurous with our aging. I have but a few days to get May’s seasonal foods in, so I better get to the point. June is almost here. How did that happen? Blueberries – many resources rank blueberries as one of the top foods for antioxidant protection. Packed with anthocyanins (the natural blue coloring), a handful of blueberries give as much antioxidant power as up to 5 servings of carrots, apples, broccoli or peas. Plus, blueberries rank low on the glycemic index and are a good source of vitamin C and fiber. 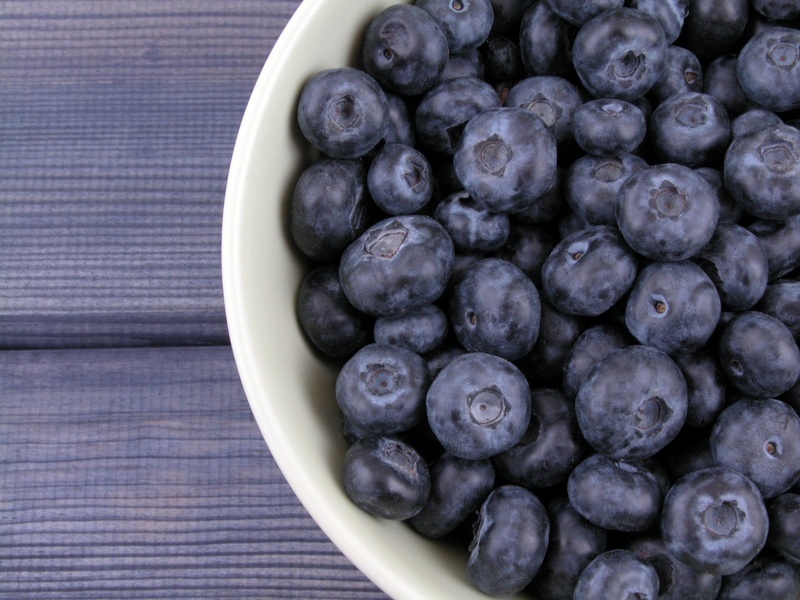 Some studies even suggest blueberries help maintain cognitive function as we age. And who doesn’t need a mental boost now and then? Lemons and limes – provide antioxidant properties as well. These protective flavonoids also come with antibiotic benefits which help boost immune function and support lung health. And we’ve all heard about the high levels of vitamin C in lemons and limes, so squeeze some lemon juice into your hot tea or make some fresh limeade. Cucumbers – cucumbers provide a lot of nutritional bang per calorie. Low in calories, they’re a good source of fiber, magnesium, potassium, vitamin A, and even sleep-inducing tryptophan. They are also known for high levels of silica, a mineral needed to form collagen, which helps maintain healthy skin. Remember the old cucumber on the eyes trick? Slices of cucumber help decrease eye puffiness and are a nice, inexpensive home-spa treatment. So drink some cucumber juice and put some slices on your eyes before your next big night out. Plums – I love plums and prunes (the dried version). Oddly enough, plums are related to almonds. Weird, isn’t it? And once again, these little treats are full of antioxidant protection. They’re also a good source of fiber, potassium, and other health-promoting substances, including phytonutrients that help protect against age-related macular degeneration. Enjoy nature’s bounty for May! P.S. Check back soon for a new and updated glutenfreeforgood blog!